From the moment you contact us, you'll know what's happening and how and when the work will be carried out. 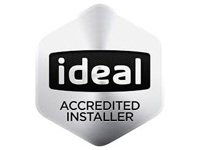 At every step of the process - from the quotation appointment through to the final visit to install your new boiler - we'll keep you fully informed. Before we complete the installation, our engineers will demonstrate how it works, what you need to do to use the controls, how to set the timer, how to top up pressure, and just about anything else you want to know. Only when you feel happy do we consider the job done. We'll also leave you with an installation folder that contains all the details of your 5 year warranty, the manufacturer's user instructions, and - most importantly - our contact details. 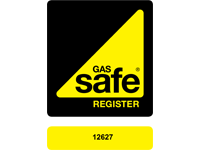 We'll make sure your new boiler is the boiler that your house needs. We always carry out a full site survey before providing you with a quotation. Knowing the demands of your house and listening to your specific requirements and concerns means that we can invariably get the right new boiler for you. When the installation is complete, we'll ask you to fill in a short Customer Quality Feedback Questionnaire. This gives you a chance to let us know what you think of our work and means we can continually monitor and improve the level of service we provide our customers. 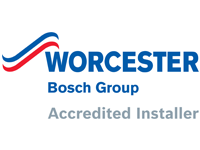 It goes without saying that we only fit boilers that are manufactured using high quality materials and components developed and rigorously tested to provide long term reliability. Your boiler works hard to provide you with all the heating and hot water you need. You depend on it. So, when something goes wrong it's a major inconvenience. That's why we believe reliability is paramount. With AOS AtHome Service Cover, you'll get a free annual boiler service and full breakdown cover 24 hours a day and 365 days a year - all for £16.40 a month.